Experiencing cataract symptoms? Cataracts—a common eye condition among older adults—can be resolved with a standard surgical procedure. Cataracts are spots on the eye’s clear lens—spots that consist of protein and water that clump together over time and cause clouded vision. Have you experienced cataract symptoms? Typically, they involve cloudy spots that form on the eye’s clear lens. The spots consist of protein and water; as you age, the proteins clump together, causing the lens to cloud and turn yellow. While cataracts may not show up in younger people, the process in which they occur is normal and can happen to almost everyone. In about half the population, the lens eventually gets too cloudy for clear vision. Nuclear cataracts form in the center of the lens and are the most common age-related cataracts. Cortical cataracts occur at the edge of the lens and progress toward the center. Posterior subcapsular cataracts form at the back of the lens and are more common with injury, long-term steroid use, or diabetes. Ultraviolet light also contributes to cataract formation, probably partly by generating free radicals. The exact cause of cataracts is unknown, but one likely contributing factor is a class of compounds called oxygen-free radicals. Natural biochemical processes, notably metabolism, generate them, as do environmental pollutants, including cigarette smoke. In younger people, these free radicals are sopped up by endogenous antioxidants, but the body’s ability to produce antioxidants decreases with age. Everyone is at risk for cataract symptoms as they age, but some have greater risks. Women—especially those who receive hormone replacement therapy (HRT) after menopause—are at higher risk than men. Smoking also increases the cataract risk. It can take 10 to 20 years after smoking cessation for your risk to drop. Taking certain medications, like steroids and some SSRI antidepressants, also may make you more prone to cataracts. Colors that seem faded or dull. Increased glare from lamps, sunlight, and headlights, or circles or halos forming around lights at night. Double vision that does not disappear when the other eye is closed. Need for more light for reading or detailed work. Cataract surgery improves vision more than 90 percent of the time. The surgeon removes the clouded lens and replaces it with a clear artificial lens. If you have cataracts in both eyes, you will need two surgeries several months apart. Cataract surgery is never performed on both eyes on the same day. 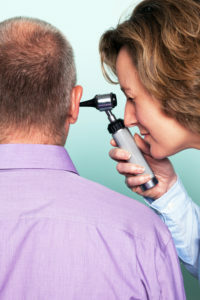 Standard cataract surgery, with a technique called phacoemulsification, uses ultrasound to emulsify the cataract so that it can be removed through a tiny incision. An artificial lens replaces the damaged lens. Femtosecond laser cataract surgery reduces the amount of ultrasound energy needed by nearly half, which eliminates any loss of healthy cells, and uses smaller incisions. When a lens containing a cataract has grown too dense or hard to treat with ultrasound waves, the doctor will perform an extracapsular cataract extraction. This uses an incision about 3/8 of an inch wide in the cornea, through which the cataract is extracted. The doctor then suctions out the rest of the lens, implants the artificial lens, and closes the incision. The larger incision prolongs healing by several weeks. Cataracts are a natural consequence of aging. However, you can take precautions that reduce your risk. When out in the sun, wear sunglasses that block 99-100 percent of UVA and UVB rays and/or a hat with a brim to limit your exposure to the sun’s ultraviolet light. Additionally, new research finds that physical activity reduces the risk of developing cataracts. Reduce your alcohol consumption if you drink heavily. If you have diabetes, follow your doctor’s instructions and keep tight control of your blood sugar levels. Eat a healthy diet with at least two-and-a-half cups of fruit and two cups of vegetables a day. There is some evidence that statins, the cholesterol-lowering drugs, might help prevent cataracts. More than one study has found that people who take statins have a significantly lower risk of developing cataracts. Talk with your doctor about this option. after menopause, aging, Aging eyes, alcohol, alcohol consumption, antidepressants, antioxidants, blood sugar, blood sugar levels, cataract, cataract symptoms, cataracts, cholesterol, cholesterol lowering, cholesterol lowering drugs, diabetes, diet, eye surgery, eye test, eyesight, femtosecond laser, free radicals, healthy diet, hormone, hormone replacement therapy, lasik eye surgery, metabolism, physical activity, protein, radiation, smoking, statins, sugar, sugar levels, vegetables. What anti-oxidents are suggested for delaying cataract development?